Seasoned Market Access, Marketing & Commercial top-MBA Biotech/Pharmaceutical Director with more than 18-year track record in driving results through teams and cross-functional leadership at both local and global (HQ) level. Proven results in successfully leading Organizational Change in two NASDAQ-listed companies (Amgen, Celgene), by managing Market Access & Commercial diverse teams. Adept at defining the proper framework for Cluster Team/ Matrix Organizations. Experienced in Top-level Negotiations (region and account level). Master Professor and Mentor (ESADE, UPF, CESIF) and Healthcare Speaker at sectorial forums. Knowledgeable on the Oncology, Hematology, Nephrology, Dermatology, Rheumatology targets and Region and Hospital Stakeholders (clinical and non-clinical ones). We all have something important to share with the world. This is Julia’s philosophy when it comes to public speaking. Graduated in Biotechnology and Business Management, she has worked in corporations and startups, in the public and private sector. She has received formal training in acting and singing, knowledge that she transfers to her mentees. Recognized as best speaker in Spain for 2015 and 2016, Julia has been giving public speaking and pitching workshops for over 4 years, with a focus on science startups. If you’re passionate about something, she will help you communicate it and spread it to the world. 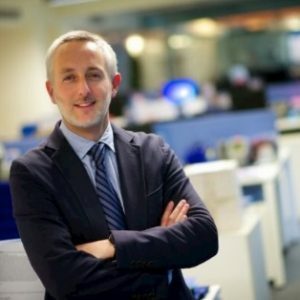 Managing Partner at BioSeed Capital, focusing on early stage innovation in immuno-oncology based in London and chairman at the Biotechnology Business Institute, an international entrepreneurship business school based in Barcelona. Molecular Biologist by training and entrepreneur, Juan is specialized in early stage drug discovery and venture valuation for early stage biotech companies, technology transfer processes and funding strategies. His expertise is in international business development for deal making and global relationships between the main stakeholders taking part during drug discovery processes, with a specific focus in deal flow between industry and academia. Cecilia López is a Biologist and Clinical Biochemistry specialist and has an MSc in Biochemistry and Molecular Biology by the Universidad Autónoma de Barcelona. 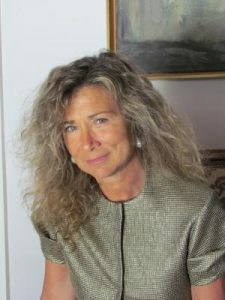 Her professional experience includes 7 years working as clinical analysis practitioner, over 12 years leading sales teams in multinational companies in the hospital sector, 2 years on Business development and 3 years as head of commercialization and Business development in the foundation managing research outcomes at Hospital Vall d’Hebron de Barcelona. This professional track record in business development is complemented with academic training in technology transfer with a degree in European patent law by the Centre d’Études Internationales de la Propriété Intellectuelle de Strasbourg. For the last 5 years she has directed CSyM Asesores, a Company specialised in Innovation and Tech transfer in the healthcare sector. 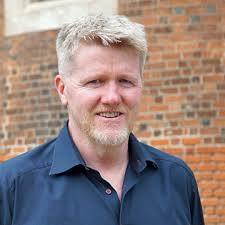 Mike Doherty, the founder of Doherty & Associates, has a long history of business development, strategy, and planning. Mike has launched and managed several ventures personally, so he understands the challenges of managing day-to-day operations while remaining focused on growth opportunities and the bottom line. He has also worked as an investor and a lender and therefore recognizes the demands and expectations these parties bring to the mix. Mike’s clients benefit from both perspectives. 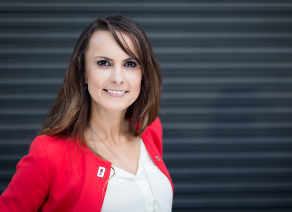 Karolina is Chief Digital Officer and Head of Strategy at Siemens Mobility. She has a wealth of experience in corporate innovation and business development in healthcare and infrastructure. Karolina is also a founder of Health 2.0 Kuala Lumpur chapter and advises companies on how to create behavior changing products. Karolina is a regular speaker at conferences on digitalization and open innovation. She frequently mentors young females in their careers and offers coachings on mindful leadership. 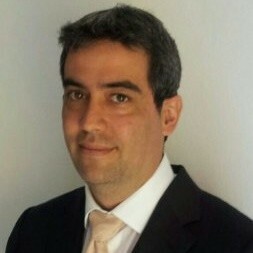 Carlos Martínez is CEO of M & PARTNERS and responsible for the Barcelona branch. 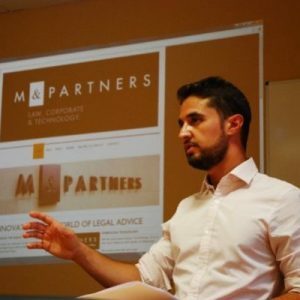 He has extensive experience advising startups through the main accelerators and startup incubators of the country and, among other awards, he has won the Young Jurists Award as best young lawyer in Spain (2009). In 2015 he finished in the first position in the Spanish absolute ranking of lawyers by number of operations advised (source TTR). Maribel Berges is a Chemical Engineer from the Institut Químic de Sarrià, a graduate in Organic Chemistry from the Ramon Llull University, and an MBA from IESE. She started her professional career at Almirall Laboratories, in the area of ​​R&D. After IESE, Maribel worked in “la Caixa” in the marketing area and later joined the Fundació Bosch i Gimpera, ​​where she directed the entrepreneurship program aimed at supporting University researchers in the creation of Spin-offs, contributing to more than 40 projects of creation and financing of new technology-based companies. She is the author of a manual on “Valuation and licensing of patents for new pharmaceutical products”. In 2009 she co-founded SPHERIUM BIOMED, where she has specialized in the financial strategy and Business Development of the company. 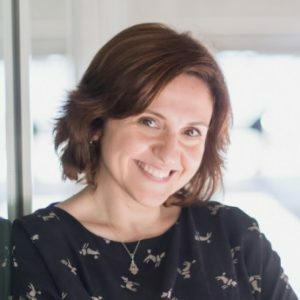 Maribel contributes monthly in the newspaper l’Econòmic, was a member of the Board of Directors of ASEBIO between 2011 and 2015 and is currently Vice President of CataloniaBio & HealthTech. Life Sciences Director at UPF Ventures. She has helped over 100 entrepreneurial projects in different technology sectors (medical devices, biotechnology, agrofood, industrial, IT, electronics & sensors, energy & environment, nanotechnology, optics & instrumentation, chemical & pharmaceutical) in the initial phases, contributing in business plan elaboration, tech transfer process, private and public seed fundraising and team building. She is also Professor at “Master in Applied Business Management and knowledge transfer in Biomedicine and Health Biotechnology”, and she has been Adjunct lecturer at the Faculty of Economics, both at the University of Barcelona. 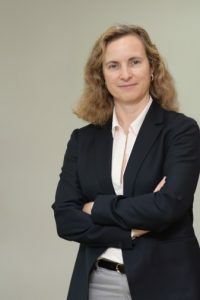 Prior to joining UPF Ventures in 2018, she served as Head of the Technology–Based Business Creation Unit at Bosch i Gimpera Foundation (Knowledge Transfer Office of the University of Barcelona), Innovation Senior Project Manager at Cetemmsa (currently Eurecat, technology centre) and Project Manager at Celltec UB Research Group (University of Barcelona). She received her BScs in Biology and Biochemistry from University of Barcelona, in 2001 and 2002 respectively and her Master’s in Business Administration (MBA) from UPF University in 2006. She discovered her vocation during her first job, seeing how the start-up Advancell was created in 2001 and grew. Since that time she has known that she wanted to create technology-based companies. Her background is in Technology transfer but her heart is with start-ups! 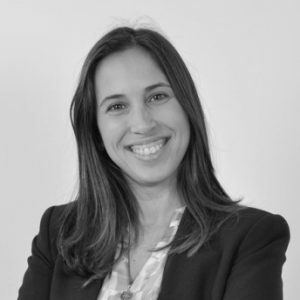 Clara Nascimento Silva holds a Ph.D. in Biochemistry and Molecular Biology and a MSc degree in Specialised Economic Analysis from the Barcelona Graduate School of Economics (Pompeu Fabra University). She worked for more than ten years in academic research and in start-up Biotech companies in Brazil, focusing on vector immunology of tropical diseases, her work resulting in several publications in international magazines in the field (e.g. PlosOne and Scientific Reports/Nature). In 2010 Clara shifted her career to focus on business development and project management in the healthcare area working in multinational pharmaceutical companies such as the Menarini Group, as business developer, and Merck KGaA, as project leader in the diagnostic field (Merck Innovation Centre, Darmstadt, Germany). As a keen observer of the universe I dedicated my academic and early professional career to molecular biology in which I hold a PhD. Working as a researcher at various renowned international research institutes, I cultivated my passion for science and gradually learnt that business plays a key role in this context. This realisation led me to complete an executive MBA, shift my career to business development in the context biotech and nanotechnology and, later on, become a co-founder of a successful consulting firm operating in the context of life sciences. These days I am able to pursue my passion for science and business working for an truly great company, trifermed. Working as Executive Director I am able to apply my scientific and business expertise through coordinating clients and partners as well as supporting them in designing successful business models. Additionally, I also act as a regular collaborator in various entrepreneurial initiatives encouraging innovation and bio-business. Salomé is a doctor specialised in preventive medicine and Public Health and MBA, with over 20 years of experience in the pharma industry and public administration in the health sector in the areas of market Access, marketing and sales, health management, information systems and price negotiation. She has collaborated with large pharmaceutical companies and government agencies. Since 2007 she has been focused in consulting on P&R and market access strategy and coaching on market access skills. She’s currently a mentor and investor. Co-founder of Women Angels for Science, Engineering, Art-Architecture and Mathemateics (WA4STEAM). Languages: Spanish, Catalan, English and French. 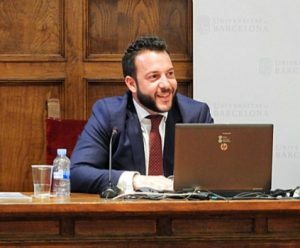 Bachelor of Science in Biotechnology from the Autonomous University of Barcelona (UAB), PhD in Biotechnology from the University of Barcelona (UB) and a Postgraduate course in Innovation Management (UAB). Several years of experience in research in gene therapy applications in the cancer field led to publications in peer-reviewed journals and collaborations with biotech companies. She has more than 2 years of experience as a Project Manager in the Knowledge Transfer and Innovation Unit at the Research Institute of the Vall d’Hebron Hospital (VHIR) in Barcelona. 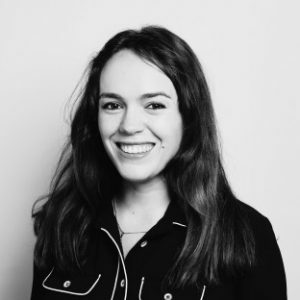 She is an active member in the EIT Health Alumni Network, after her participation in the EIT Health Innovation & Business Creation Summer School, in 2016, co-organized by the Trinity College in Dublin and IESE business school. Since 2018, she works as investment analyst in Healthequity SCR, a venture capital fund focused in early-stage companies in the Healthcare sector. The Pitch Competition is coming! During January and February our mentors will give a total of 13 workshops to the participants of Imagine IF! as well as on-demand 1-to-1 mentoring sessions. Do not miss the chance to see the results in our Barcelona final the 5th of march! Register here.